The powerful Group of Eight universities have refused to back a compromise plan from federal Education Minister Christopher Pyne to financially penalise universities which chose to increase student fees under his deregulation scheme. Mr Pyne is floating the plan, designed by Australian National University economist Bruce Chapman, as a way to try to break the impasse in the Senate where he is unable to persuade enough crossbenchers to back his higher education changes to ensure its passage. Under Professor Chapman’s plan, universities would progressively lose government student subsidies the higher they raised student fees. The prestigious Group of Eight universities – Sydney, Melbourne, Queensland, New South Wales, Monash, Adelaide, Western Australia and the ANU – would be the big losers from the plan because they had been expected to substantially raise their fees if the Pyne reform package passed Parliament. She added the eight prestige universities could not “at this point in time, support any alternative proposal to deregulation”. Professor Chapman and higher education consultant David Phillips have been working since January on the compromise plan with the backing of Mr Pyne, who has been seeking a way of winning Senate support. Even though Mr Pyne made a partial backdown in December, abandoning his plan to increase the interest rate on HECS loans, he still has not won enough support from Senate cross benchers to pass the package. Last week the Palmer United Party’s two senators, Glenn Lazarus and Zhenya Wang, confirmed their opposition, making passage of the legislation very unlikely. Professor Chapman believes that Mr Pyne’s deregulation plan will lead to universities bringing in very high fee rises because HECS loans make it easier for students to afford higher fees and because university education is a so-called “Veblen good”, which in a high cost is seen as an indicator of high quality. The details of his plan are not fleshed out but it could result in universities which make large fee increases losing as much as 80 per cent of their student course subsidies. 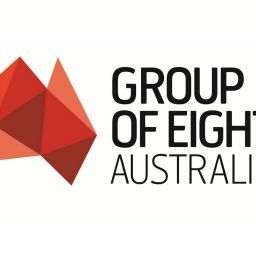 The Group of Eight has not ruled out supporting changes to the Pyne deregulation plan in the future but said that time was needed to properly assess alternative proposals. “History tells us that it takes time to work through new policy ideas and test their implications,” Ms Thomson said. Universities Australia (UA), the group representing all 39 major universities, is pushing to have the Pyne changes passed by the Senate but has not formed a view on the Chapman compromise plan. UA chief executive Belinda Robinson said there was a lot of detail which still needed to be worked out. The Australian Technology Network of Universities, which represents five technology universities, has not formed a view, except that any changes must meet sustainability, affordability and equity goals. In the media: Research and Higher Education: How do Australian universities remain globally competitive?